If we’ve learned anything, it’s that America is a rugged mountain, shaped by upheaval and endless waves of immigration. 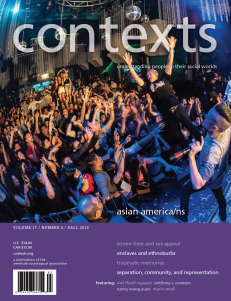 This issue of Contexts focuses on one diverse community that formed from immigration: Asian America. Its story is complicated, as seen in this guest edited issue.